ATTENTION – Exhibit opening and film screening has been rescheduled! 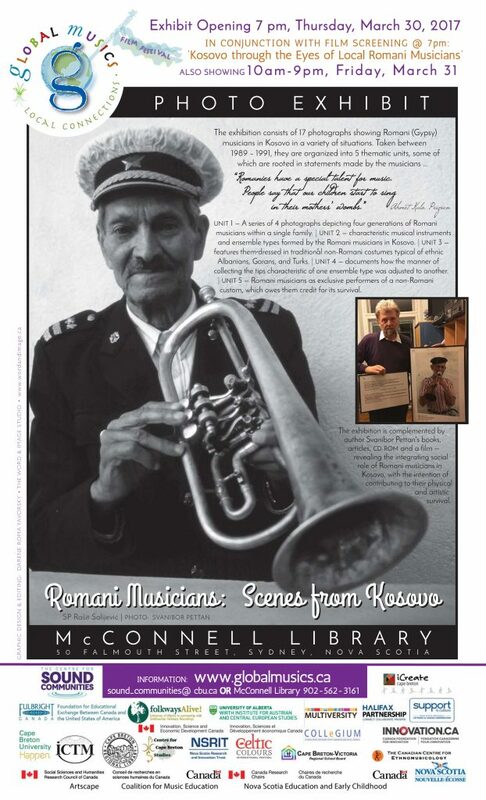 The photo exhibit will be on display all day at the McConnell Library, Friday, March 31st, 10-9pm; the film will be screened at 3:30 pm, Friday, March 31st. Dr. Pettan will be in the library to discuss the film and photos until 6 pm.